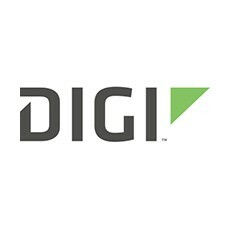 Today, Digi International® announced the ConnectCore 6UL, a new embedded module platform delivering a connected System-on-Module (SOM) with integrated dual-band 802.11ac wireless LAN and Bluetooth 4.1 connectivity in a low-profile surface mount form factor slightly larger than a postage stamp. Built on the new NXP i.MX 6UltraLite applications processor, the module is designed as an intelligent small footprint, low power embedded platform for highly cost-effective and reliable integration into connected devices without the traditional hardware or software design risk, allowing device manufacturers to focus solely on their core competency. The module’s innovative and patent-pending Digi SMTplus™ surface mount form factor (29 mm x 29 mm x 3.75 mm) enables device manufacturers to optimize product designs by lowering cost and improving capabilities without compromising design flexibility. By providing two integration options (fully featured LGA, and simplified castellated edge vias) in one common form factor, it offers a scalable platform solution that addresses a wide range of product feature requirements, unit cost targets, and levels of design expertise. The surface mount form factor also provides highly reliable mounting for high shock/vibration applications and compact low-profile devices, and eliminates the need for costly board-to-board connectors. Digi’s complete Linux Board Support Package (BSP) + software support deliver integrated, tested, regular software maintenance based on current, stable community releases. As part of the Linux software support, the new Digi TrustFence™ Device Security Framework offers the critical features required to protect today’s connected devices and applications, providing strong device security and peace of mind for device manufacturers and their customers. Digi TrustFence implements device security-relevant features such as secure connections, authenticated boot, encrypted data storage, access-controlled ports, secure software updates, and seamless integration of the dedicated on-module Secure Element (SE). “The ConnectCore 6UL delivers on Digi’s leadership in embedded and wireless technology excellence by providing a connected product development platform with complete hardware and software support, including a strong embedded device security story,” said Mike Rohrmoser, director of product management, embedded systems at Digi International. “NXP provides an unrivaled portfolio of products supporting the incredible growth of smart, connected solutions. The ConnectCore 6UL System-on-Module platform demonstrates how long-term partners like Digi deliver best-in-class products built on our i.MX, Kinetis®, security and NFC products. NXP products are the trusted foundation of the Internet of Things (IoT) that our customers build on, now and in the future,” said Ron Martino, vice president, i.MX applications processor and advanced technology adoption, NXP Semiconductors. Digi ConnectCore 6UL development kits will be available in two versions: The ConnectCore 6UL Starter Kit* available at $124 in August 2016, and the ConnectCore 6UL Jumpstart Kit* at $249 with expected availability in September 2016. Kits will be available from authorized Digi distributors. Digi also offers additional go-to-market options to its customers through the Digi Wireless Design Services team, offering antenna design/selection guidance, cellular integration, certification assistance, as well as custom design services. *Starter and SBC boards are production-ready and will be made available for purchase separately. Both kits are also reference designs for the Digi SMTplus LGA and castellated edge vias module design integration, with complete design source file availability. Limited ConnectCore 6UL module sample availability in Q3 of 2016, with initial volume production planned for late Q4 2016.